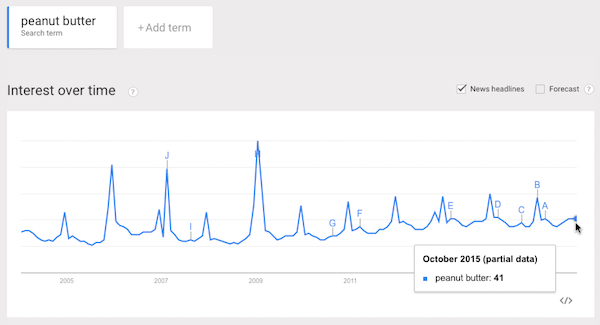 Yes, peanut butter scores a 41 in Interest Over Time in October 2015. That’s up from 31 a mere 10 years ago. while we’re not sure exactly what that number means, it’s a full 30ish percent increase, which is something that you’d be hard pressed to find outside of the interest that the editor in chief has for his “special me time” site. And there’s a reason why peanut butter is so hot. Especially for SEOs. It’s a well-kept secret, but today I’m spreading the news. Read on, gentlest of most gentle reader, to find out the secret recipe for using peanut butter for SEO success! Your body is doing well. But could it be doing better? Possibly! By eating peanut butter, you’ll address fundamental issues related to your body’s peanut butter algorithm, like reducing world hunger by 1. Talk about SEO impact! With hunger reduced – nay, eliminated – you can do whatever it is that you need to do to be considered an SEO thought leader! Have you ever had the hiccups when trying to do your SEO tasks? It’s bloody annoying! Go to the place where your peanut butter is located. Get a spoon (if a spoon or another adequate utensil is unavailable, find a sink and wash your hands, and use a finger instead, preferably yours, but no judging here… sicko!). Insert your spoon/utensil (or finger) into the jar. Scoop out a scoop of peanut butter. Using tongue and lips, remove peanut butter. Repeat as needed with a fresh spoon/utensil/finger. Problem solved and you can go back to reading WTFSEO and telling other people on Twitter and Facebook all day why they’re wrong about SEO. According to the first result on Google, which must be right, peanut butter has countless benefits. It helps you lose weight; it is packed with nutrition; it’s got the ‘good fat’; so I guess that’s three then. What does BuzzFeed say… I’m sure they have at least 28 more reasons why you need to try peanut butter. Well, unless you’re allergic, then you’ll probably die a slow, agonizing death sooner than later and your SEO won’t benefit. That’s what we call an SEO pitfall! Pro tip: Consult a doctor to see if peanut butter is right for you and your SEO strategy. Yes, stock up. You don’t get a penalty, but it will cost you. About $4 to $5 per bottle, unless you get the jumbo size. Or a box of it! There is no one-price-fits-all peanut butter strategy unfortunately, from an SEO perspective. Show the world your personality by using (i.e., eating) Jif. It will help customers see that you’re a human. In terms of content creation, the options are endless – peanut butter and jelly sandwiches; peanut butter cookies, peanut butter cake, and peanut butter balls, to name a few. Then use the rel=peanutbutter attribute to make sure you get all the SEO benefits. Pro tip: Reese’s Peanut Butter Pumpkins (Halloween time), Trees (Christmas time), Hearts (Valentine’s Day), and Eggs (Easter time), are essential SEO peanut butter tools! Budget for them! So there you have it. Forget content. There’s only one true way to make your site more “sticky” with users. 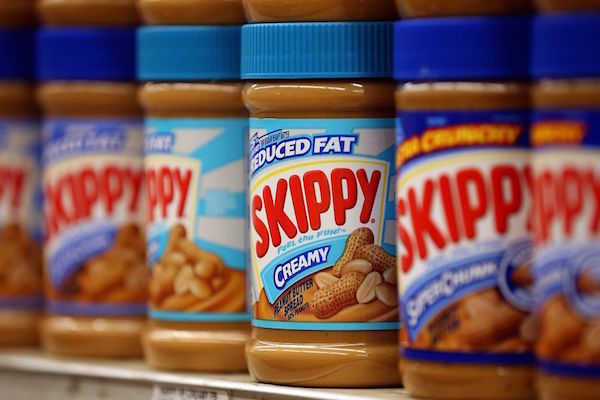 Peanut butter is king in SEO!